Too often, workers face dangers at work: from temp workers killed or injured on factory lines, to workers exposed to harmful chemicals, to violence and harassment on the job and domestic violence, which too often goes unrecognized as a workplace hazard. Sadly, too many employers ignore regulations that protect their employees. 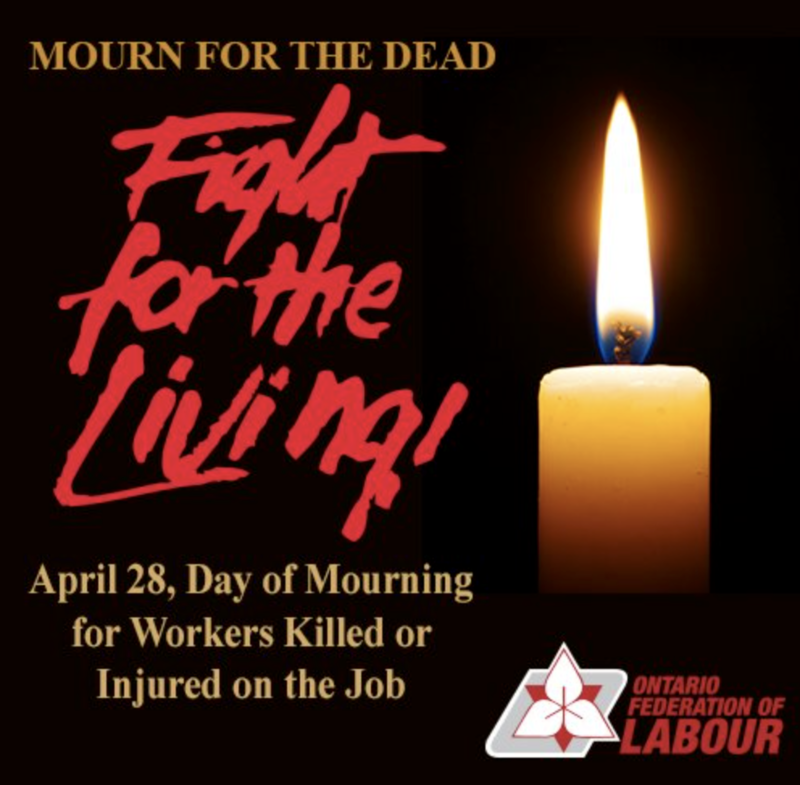 Tragic worker deaths and injuries are all too common, with many injured workers left unable to return to the workplace and living in poverty. Recently, there have been notable successes in the push for greater worker safety. When a recent court ruling upheld the sentence of the construction manager who was found guilty in the deaths of four Metron construction workers, the labour movement claimed a victory in the push for a criminal investigation into worker injuries and deaths, and for criminal charges to be laid when appropriate. This year, the OFL is joining the Canadian Labour Congress in its campaign against violence and harassment in the workplace. The labour movement is united under the banner of Violence and harassment: it’s not part of the job. This is timely for Ontario, as the Ontario Federation of Labour has been pushing for improved protections for workers on these issues. Workplace harassment and bullying can cause work‐related chronic mental stress. The OFL has campaigned to ensure that more workers are able to get the help they need if they are unable to return to work as a result of harassment and violence. Workers can now file claims with the Workplace Safety and Insurance Board (WSIB) for Chronic Mental Stress that was brought on by workplace harassment, violence, or bullying that occurred between April 29, 2014 and January 1, 2018. Compensation claims must be filed before July 1, 2018. Violence and harassment are all too common in workplaces across Ontario. According to the Workplace Violence Prevention in Health Care Progress Report in April of 2017 the health care sector represents 11.7 per cent of Ontario’s labour market and is the largest sector affected by violence in the workplace. More than half of the lost-time injuries in the hospital sector occur among registered nurses: 56 per cent. One heartening development has been a joint initiative of the Ministry of Labour with the Ministry of Health and Long-Term Care, which takes on violence prevention strategies in health care. Educators have also reported high levels of violence and harassment. Another joint initiative, this time in the education sector, resulted in the launch in March of a new guide from the Ministry of Labour, Workplace violence in school boards: A guide to the law. You can sign the petition demanding legislation to put a stop to violence and harassment in the workplace by clicking here.